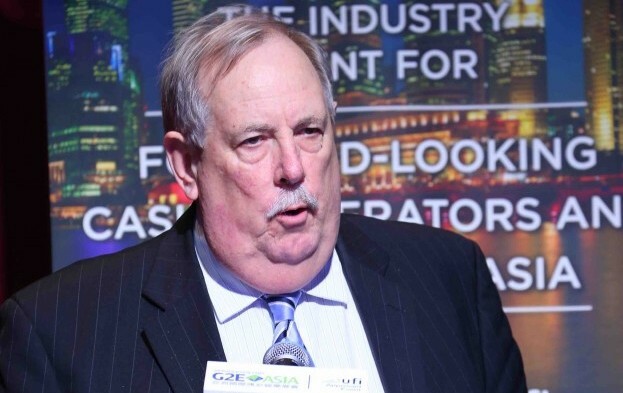 Donaco International Ltd, an Australia-listed operator of casinos in Indochina, says it has made gaming law expert David Green (pictured) an independent non-executive director. In announcing the appointment to the Australian Securities Exchange on Wednesday, Donaco said Mr Green had extensive experience of the gaming industry – notably in Asia – including Macau, Cambodia and Vietnam. The written announcement stated Mr Green, an Australian citizen, is a lawyer and accountant with experience of gaming regulation and operations, and specialising in governance issues. Mr Green spent 14 years in Macau, serving as a partner in, and director of, the gaming practice of PricewaterhouseCoopers (Macau) Lda, and advised the Macau government about the liberalisation and regulation of the casino industry in the city. The Cambodian government had also consulted Mr Green about gaming industry legislation it is considering, the Donaco announcement said. Last May Mr Green resigned from the chair role and from board at Silver Heritage Group Ltd, another Australia-listed operator of Asian casinos with operations in Nepal and – at that time – Vietnam. That company said his departure was for personal reasons, and so he could focus on other business interests. Donaco posted a net loss of AUD36.8 million (US$26.1 million) in the six months to December 31. The net loss for the same period a year earlier was AUD133.8 million. In a filing, the casino firm blamed the net loss on an impairment charge related to its casino operations in Cambodia, where it runs the Star Vegas Resort and Club in Poipet. It has been at the centre of an ongoing tussle with several Thai business people that sold the casino to Donaco for US$360 million in 2015 and then allegedly started to compete against it in what Donaco said was violation of agreements. Donaco is currently looking to recruit a chief executive to replace Joey Lim Keong Yew.